I have recently noticed that our British storms are being given names now, not just the ones hurtling across from America. Apparently, we take more notice if severe storms are given a name and prepare ourselves for the worst. Whether a storm is considered big enough to have its own name comes down to the probable impact on people in Britain and Ireland. A storm will be named by the Met Office when it has the potential to cause an amber “be prepared” or red “take action” warning. Other weather types will also be considered, specifically rain if its impact could lead to flooding as advised by the Environment Agency, SEPA and Natural Resources Wales flood warnings. During the run up to the recent Storm Emma colliding with the ‘Beast from the the East’ and the first settled snow in Cornwall for over 30 years, my supermarket ran out of essential supplies as people stocked up their larders in case they were snowed in. 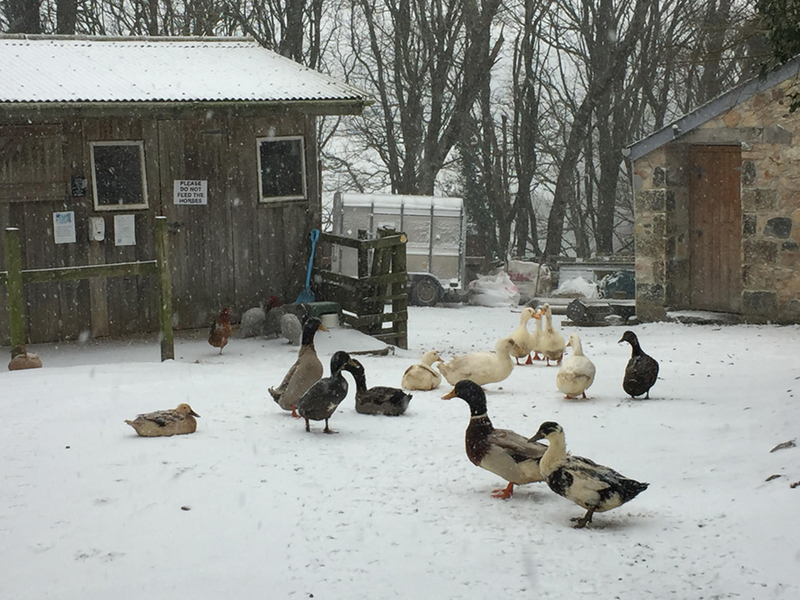 Schools closed their doors as the snow started to fall and farmers were able to get food and water rations to animals in isolated fields before the worst weather hit. The snow only lasted for 2 days here and stores ran out of sledges and toboggans. There was a carnival atmosphere as families relished an unexpected break from school and work and headed for the nearest slope to slide down it on anything they could improvise- surfboards, dustbin lids, Plastic sheets, even skis came out! It wasn’t all fun and frolics though as staff struggled to get to essential jobs in hospitals and frozen water pipes burst. Wildlife struggle when all the water is frozen and we were encouraged to put water and food out in our gardens for the birds. Last January when Storm Eleanor hit, dozens of seal pups were found injured along Cornwall’s coastline after we were battered by storm force winds and heavy seas. It caused flooding, damage to harbour walls, cliff falls and travel disruption and one consequence was seal pups being washed up on the beaches with things like broken jaws, eye injuries, often skinny and malnourished too. 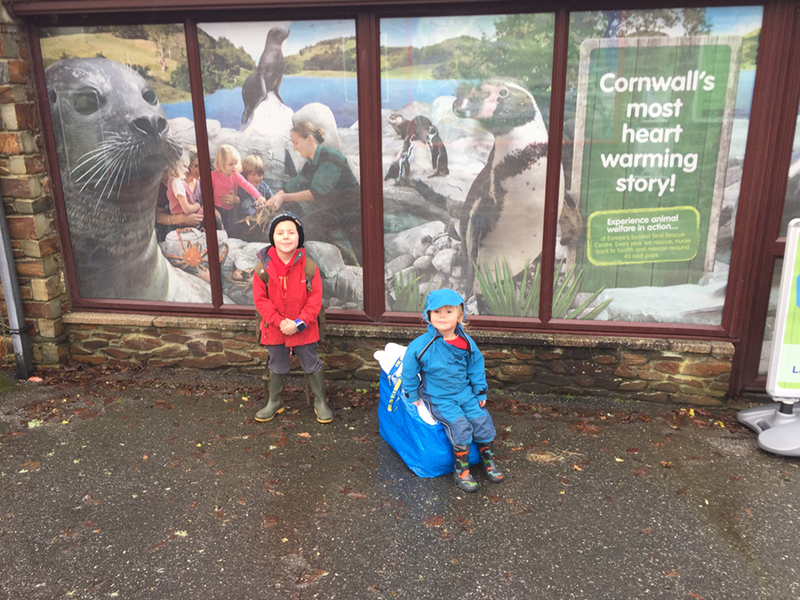 We heard on the news the animal hospital at the Cornish Seal Sanctuary in Gweek was desperate for towels to wrap up the baby seals in transit. Just by chance we had been taking stock of Bosinver’s towel supply and were able to take the worn ones down to the Sanctuary right away. 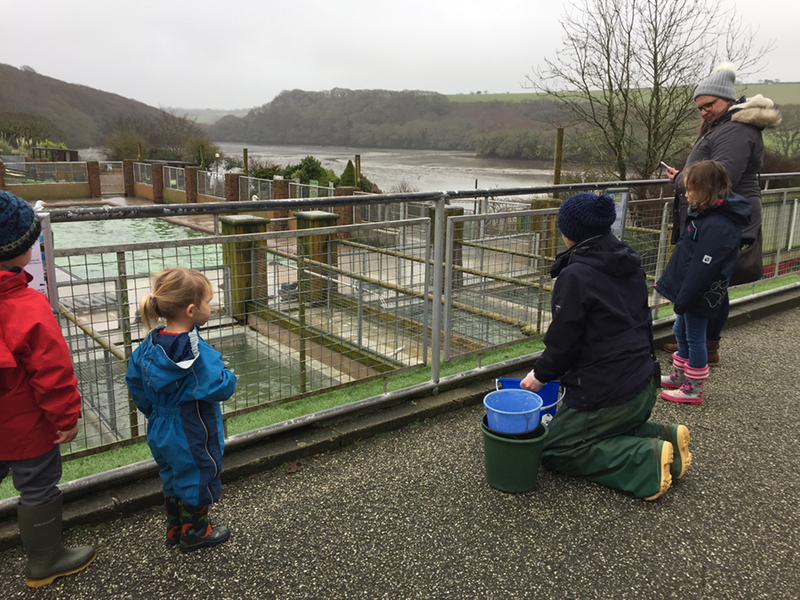 My grand children love to visit and we made a day of it, Sam and Jasmine loving the fact that it was a quiet January day but the pools were overflowing with rescued baby seals, all looking very well cared for. We already sponsor a seal called Pumpkin and a penguin called Gilbert so we always pop in to their pools to say Hello. 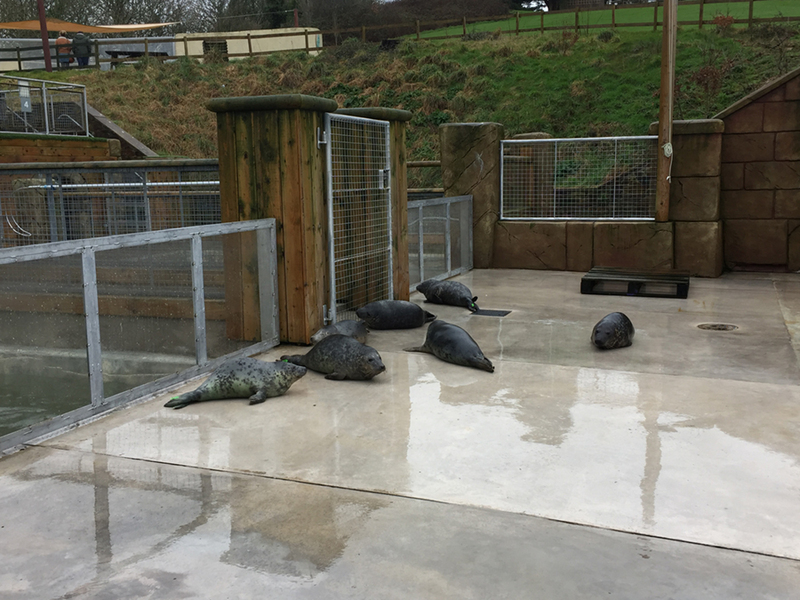 The Seal Sanctuary relies on such donations and it enables them to do their fantastic work and strengthens connections and community involvement. I must say that facing hardships seems to foster community spirit and fellowship which is often sadly lacking in the fast paced time poor lives we lead today. We were encouraged to check on elderly neighbours, farmers with tractors and Joe Public with 4 Wheel Drive vehicles were ferrying doctors and nurses to hospitals and surgeries, locals were distributing food and blankets to stranded motorists and one businessman was paying for hotel rooms for Homeless people. If that what it takes for us to behave with care and compassion, bring on Freda, Gertrude Hermione and Irma!